What is Cardamom Oil ? Cardamom essential oil is extracted from the small reddish-brown seeds of the fruit. It has a very appealing sweet and spicy aroma with floral undertones that is lightly warming and sensual. The oil is clear, and relatively expensive. Cardamom is useful in aromatherapy treatments for colds and congestion since it contains a property (cineole) that helps break up chest congestion and clears your head. It is used in Ayurvedic medicine for flatulence and poor digestion. Cardamom oil kills the bacteria responsible for bad breath, and is well know for relief of nausea. Cardamom blends well with many essences, especially bergamot, frankincense, ylang-ylang, cedarwood, coriander, lemongrass, and the other citrus oils. 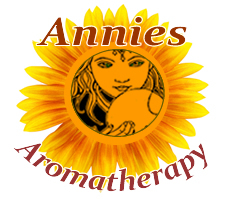 It has an alluring scent so it is an appealing addition to blends. Use in a chest rub or blend with the antibacterial thyme essential oil for a pleasant, effective decongestant steam inhalant. As a culinary herb it is used to flavor spicy, hot curries and rice dishes. Drink a warming cup of cardamom tea, or use it in steam inhalations and foot baths. 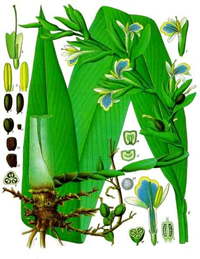 Botanical Information - Rituals & History : The cardamom plant is a perennial reed-like herb that grows up to 13 feet tall. It is a relative of ginger and is native to Asia and India. Cardamom is harvested and used as a delicious spice in the kitchen. Cardamom has been part of the Chinese and Ayurveda pharmacies for thousands of years.